Insurance Coverage Policy can be confusing and hard to understand for a large percentage of the American public. Most people never read the policy when it arrives from the Insurance Company; it is thrown in the drawer without ever opening the envelope. 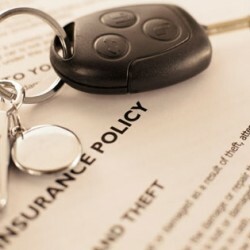 We want to explain in detail what is an insurance policy and the contents of the policy. We will review the Auto policy Collision and Comprehensive coverage, since they are the major coverage most people do not understand. We will review another section of the auto policy and the home owner's policy at another time. When the policy is purchased from an insurance carrier, at the time of purchased, the insurance policy become a contract between the insurer and the insured becomes a policy holder. At that point, if claims are presented, the insured is legal required to pay for the damages. The insured is required to pay a premium (payment to the insurance company); the insured has to keep current on the premium to maintain insurance coverage. Most people think they have full coverage; they are shocked to find out that their policy does not cover everything that could happen. The policy has named peril, a peril is policy wording that indicate what the policy will cover and exclusions wording indicates what the policy will not cover. We suggest the insured review the named perils and the exclusion pages to confirm what the policy covers. Most insurance policies have a feature called boiler plate language which has similar language on most insurance policies. Most companies have the same language in the policies with minor differences. According to the National Highway Traffic Administration, car accidents happen every minute of the day. Motor vehicle accidents occur in any part of the world every 60 seconds. With the information from the National Highway Traffic Administration should make most drivers buckle up before driving an automobile. A majority of those accidents are due to collisions, with another car or object. If you purchase collision coverage, the damages from the collision repairs or replacement of the damage parts will be paid by the insurance company. If an insured purchase a new automobile, the bank will require collision and comprehensive coverage on the vehicle, to protect the investment of the bank. Most people with a loan on the vehicle should purchase gap insurance; some vehicles will deprecation at a rate that collision coverage will not have enough funds to cover the loan on the vehicle. Gap insurance pays the outstanding difference between the loan and the payment from the insurance company. Sometimes, a driver will caused an accident; anyone can make a mistake, even someone with a clean driving record. Collision coverage will pay for the damage even if you are at fault. We should talk about fault, fault means you can be held legally liable for the accident. The insured is higher percentage of fault for the accident; your carrier could make repairs to the other driver's car under your liability coverage. The insured collision coverage will pay for the repairs of the insured car under collision coverage even if the other driver is at fault, or if the other driver did not have liability insurance, hits a tree, telephone pole, shopping cart, or any other stationary object, this is still considered collision. Collision coverage has two different types coverage, the coverages' are replacement cost coverage and actual cash value coverage. With Replacement cost coverage, the insurance company will pay for a total loss with enough money to buy a car of the same make, model and year of your totaled loss vehicle. The wear and tear of your vehicle is not usually taken into consideration under this coverage. This coverage cost more in extra premium for this coverage, in my opinion, the extra cost is worth the extra cost. With Actual cash value, the insurance company will pay for the total loss taken into account, the mileage and condition. Therefore, the vehicle has high mileage and in poor physical condition, will lower the value of the vehicle. This could cause a problem if you have a loan on the vehicle, the loan could be higher than the value of the high mileage or poor physical condition of the total loss vehicle. This coverage covers almost everything that might go wrong with your vehicle except collision. Here are a few of the items that apply to Comprehensive Insurance Coverage. Comprehensive coverage can sometime have separate windshield coverage, with no deductible. For an extra premium, towing coverage can be added, extend medical coverage of a person injured in an accident, salary lost during an accident, and funeral expense. If you own a vehicle that is worth more than $4000.00, valuable or a new vehicle, comprehensive coverage is highly recommended. Most finance companies will require this type of coverage to protect their investment of the car or a vehicle make and model is a target for theft. Insurance cost can vary on several factors for collision and comprehensive coverage; age of the driver, his or her driving experience, the value of the car, the area or city where the car will be driven and the estimated annual mileage on the vehicle. Deductible means you self insured for the amount of the deductible; some deductible can be as low at $100.00 or as high as $5000.00. A higher deductible can lower the cost of the insurance premiums considerably. The deductible amount has to be exceeded, before the insurance company will make a payment on a claim. Insurance companies keep records of every claim filed and have accurate statistics of damage and losses trends. C.L.U.E. or Comprehensive Loss Underwriting Exchange repairs contain a five year history of an insured claims history. If an insured change insurance carriers, they can determine insurance rates and make a decision about accepting a new policyholder. A person that makes three or more Comprehensive claims in three years or an at fault collision loss could mean higher premium at a new insurance carrier. This is a quick review of two the main coverage's under the auto policy. We suggest that you contact a license Insurance agent or go on line to compare the prices for insurance, or asked detailed questions on your insurance coverage.